So, graduate school basically took over my life and that’s why I disappeared. It was worth the work, but I definitely missed exploring beauty routines. 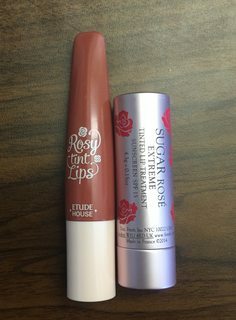 Naturally, my first thing I did after the semester was over, I rewarded myself with Fresh Sugar Rose Extreme Lip Treatment. It smells exactly like you would think – Roses! Naturally, I love it. Even my boyfriend complimented me on the scent when I wore it. it has SPF 15 as well, which makes me quite happy, since I’ve gotten into wearing sunscreen regularly. 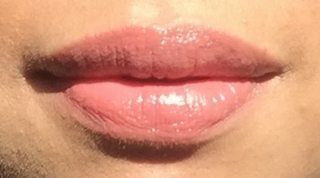 It has the tiniest bit of tint as well, and layers fabulously with other lip products. Of course, that’s how I like to wear it. With more roses of course! The combined scents make me so happy, and they look so natural together. It’s my new favorite lip combination, since I love rocking the natural look. I have to admit, all the smell of roses makes me want to garden which is rather hard to do in the middle of December. I hope everyone is having a wonderful holiday!